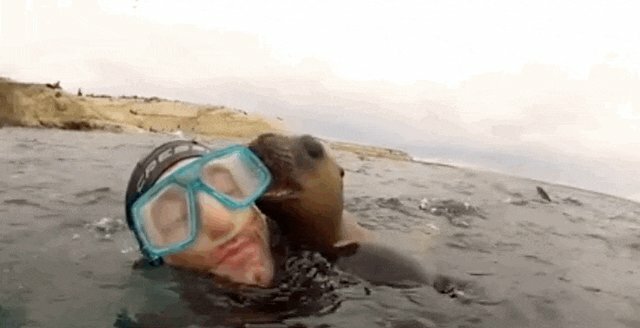 Imagine swimming in the ocean when suddenly you're surrounded by creatures from the deep ... snuggly sea lions who just want to kiss your face, that is. 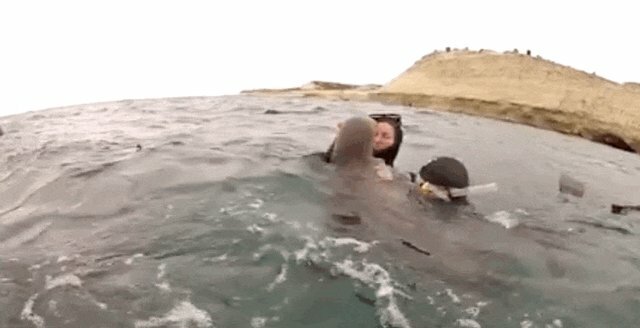 In this video uploaded to Facebook earlier this month, a group of divers got the best surprise ever when a bunch of friendly sea lions popped up to say hello and give kisses. "Hello human!! I will taste your face now!!" It turns out sea lions are just huge cuddlebugs, and all they wanted to do was play with these new friends ... kind of like goofy, wet puppies. 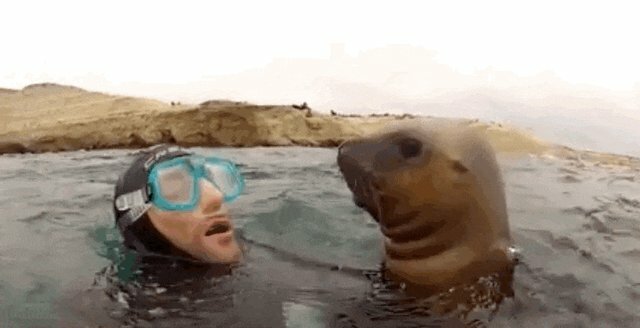 The best place to see a happy sea lion is in the wild. CORRECTION: A previous version of this article stated the animal was a seal when in fact it's a sea lion. You can tell this guy is a sea lion by his ear flaps.